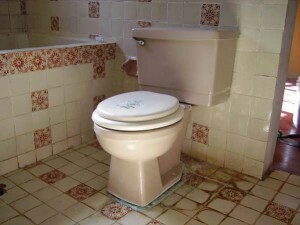 California requires low-flow toilets in virtually all homes, apartment houses and businesses under a law that took effect in January 2014. The water-conserving measure requires low-flow toilets, shower heads and interior faucets for single-family homes exceeding 20 years in age; homes built after that date should already have them. Currently, homeowners won’t be able to get final sign off on the building permit for a variety of home improvements — from replacements of windows to a room addition — unless they have low-flow plumbing fixtures throughout the property. By 2017, California law will require all pre-1994 homes to be retrofitted with low-flow plumbing fixtures plus disclosure of noncomplying fixtures when owners sell. Businesses and multifamily buildings also must disclose whether they meet the law when selling property by that date. NEV-CAL has started to document toilet types and gallon per flush (GPF) rates in the inspection report to better assist buyers and sellers as to what may be required going forward. NEV-CAL recommend considering replacing any toilet that is not a minimum of 1.6 GPF now even if your local jurisdiction is not requiring this. You not only will be ready for any future projects or sale, but will be saving water.